Print one or two templates. 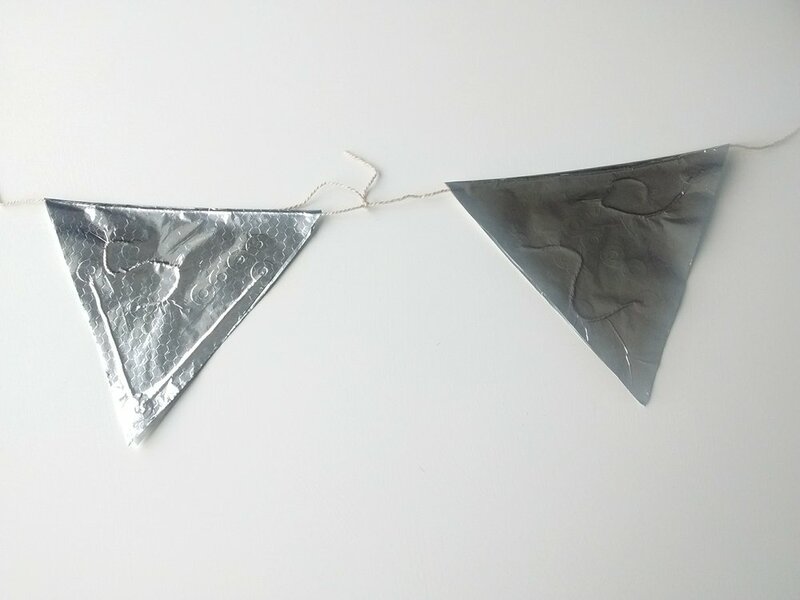 Use the templates to cut out sufficient bunting flag shapes from the kitchen foil for one or two per child. Make a bunting flag so that the children know what they are making. 1. 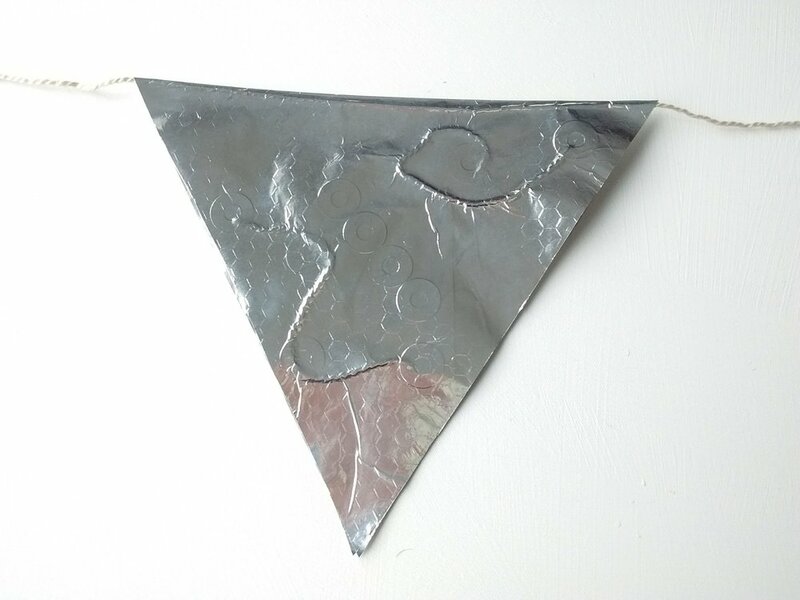 Draw around the template and cut out a bunting flag from a sheet of kitchen foil. Fold the flag in half. Open out the flag and place a 30 cm piece of string in the fold. 2. Arrange pieces of string and stickers in a pattern on the bottom half of the flag. 3. Spread a thin layer of glue on the top half of the flag. Fold the top and bottom halves of the flag together. Gently rub the small piece of cloth across the foil until you can clearly see the raised pattern beneath. 4. Collect together the flags made in your group. 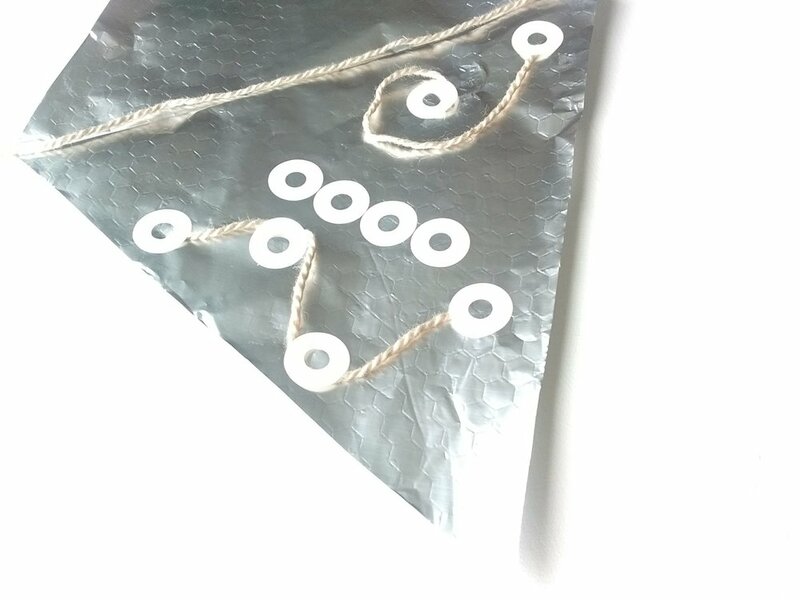 Tie the pieces of string together to make a length of shiny bunting. If you have time make a second flag and add it to the bunting. Hang the bunting somewhere in your church building where it will reflect the sunlight. Remind the children that light flashed around Saul on the road to Damascus.